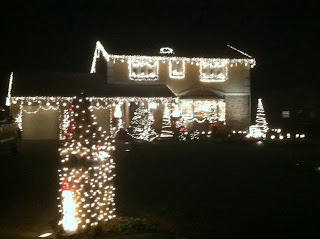 It's time for my annual year in review and a look forward to some new goals for 2012. Here are the goals I set back in January. Medical: The hip is doing great. I'm down only 16 pounds, still working on the weight thing. 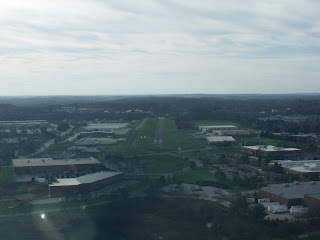 Fun Flights: Nashville, TN for a Labor day get-away - Ithaca, NY for the Beech Aero Club Festival - Nags Head, NC our favorite get-away. First Time Flyers: Just one this year, Vince's brother Joey. Notes: Auto Pilot fixed. Had a really good annual with no surprises. Flew just over 7000 miles. Airports: My typical, as many as possible! States: Again, as many as possible!! Flights: More date night flights with my Bride and more flights to/from the beach. We want to attend the BAC fly in in Gulf Shores Alabama in late September, The Florida Keys is still very high on the list and a Bahamas trip. 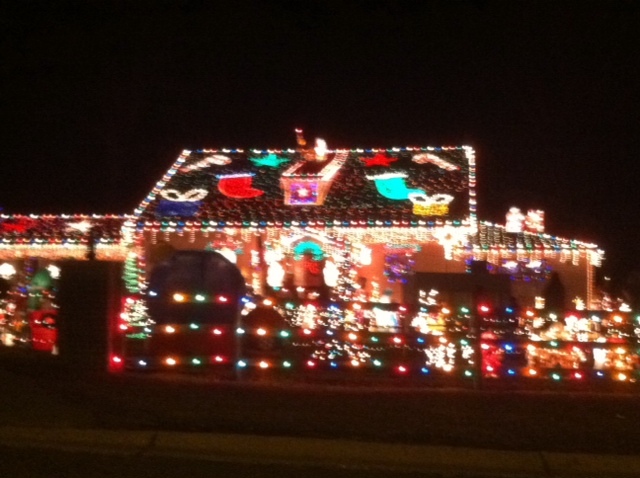 Visit Jeff out in Champaign, IL (KCMI). Aircraft Upgrades: Add the LED Taxi light, Replace the remaining washer CHT probes with the bayonet probes. 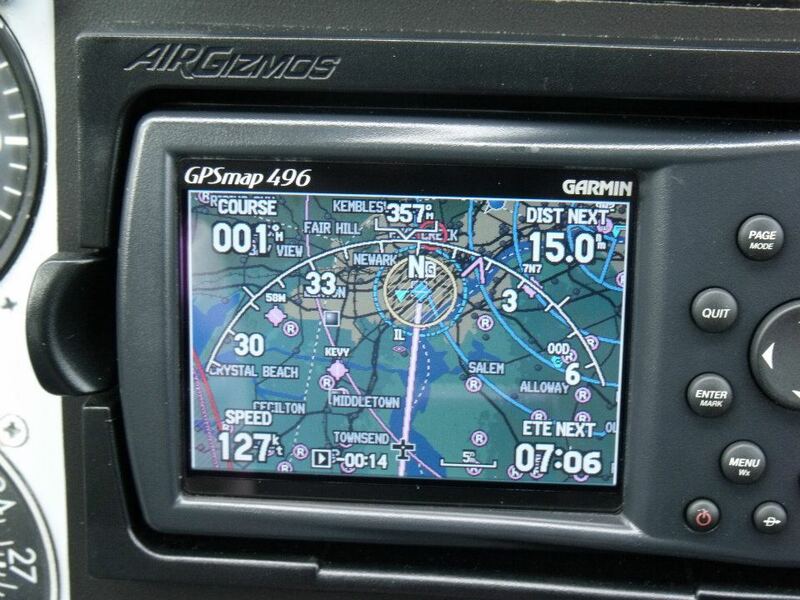 Replace the Collins Nav/Com radios with the KX155-165 series and a new transponder, GTX 327, which will correct my traffic alert issues. Mary and I started the day heading to the airport to get some power flowing to the Reiff heater system. I got the chance to use the new generator we purchased earlier this year and hooked it up to get the oil temps up prior to my engine start. We completed the engine pre-heat hook up and headed south another fifteen minutes to the Veterans Cemetery. Mary and I met up with her Mom and her brothers family to place a wreath and American flag at her Fathers grave site. It's hard to believe its already nine months since he passed. We all miss Pop and I especially miss our conversations and laughs. Mary and I headed back to the Wilmington airport so we could fly north to my parents grave site in Wilkes-Barre,PA and place a wreath there too. I called to see if my sister Denise wanted to go for the ride but she was making cookies with her granddaughter Brooke. Instead my brother-in-law David joined us. We all met up at the Red Eagle ramp. 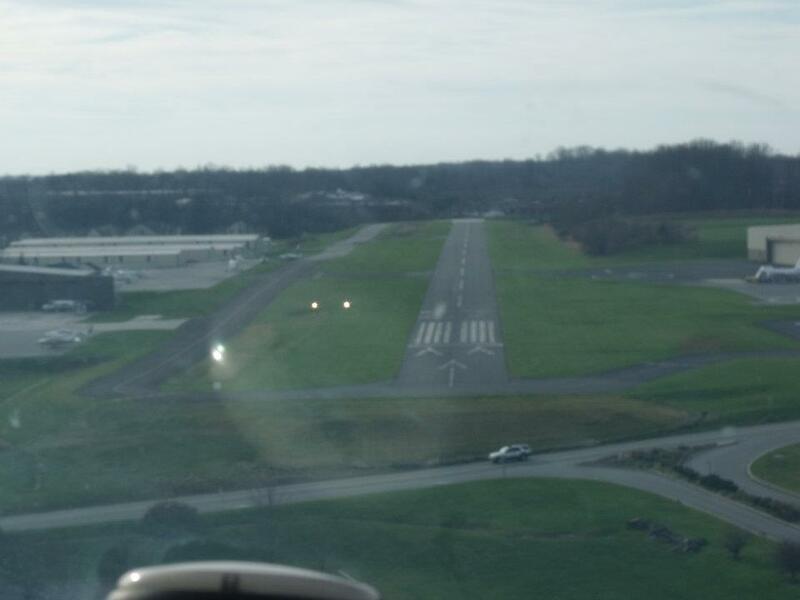 I filed an IFR flight plan and picked up the following clearance with Wilmington ground. R- Fly runway heading, radar vectors to PTW then as filed. We were soon wheels up and enroute for Wilkes-Barre, KAVP. Of course I forgot my camera and only had my iPhone for pictures today. There was no snow covered ground shots but I did have plenty of clouds to contend with. Mary gave up the front seat to David and curled up in the back with a blanket. Normally the Sundowner is toasty but today the temps outside at altitude were a tic under 15 degrees, Brrrrr...that's cold. 08Romeo was keeping it in the high 60's inside. Philly kept us at 4000 and that was fine with me as we punched through cloud after cloud bank. We finally broke out south of Allentown. When Philly handed us off to Allentown they gave me 5000 which put us in the clag for a short time. Yes, pitot heat on and an added watch for ice was part of my scan. We broke out south of Wilkes-Barre's TRSA airspace and enjoyed the view of the mountain lakes and Blue mountain and tunnels. 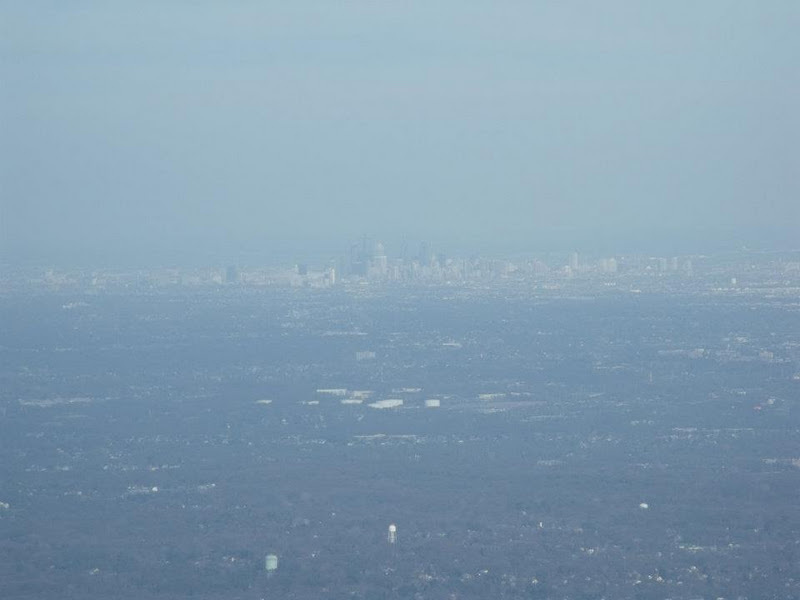 Once handed off to Wilkes Approach I was vectored left 340 degrees for the ILS 4 approach. The first step down brought us just into the tops but it seemed like we were vectored just enough to avoid the clouds. As we got closer I was turned right to 350, maintain 4000 until established, cleared ILS RWY 4, I acknowledged and was handed off to the tower. I entered the approach just outside the Final Approach Fix, JISAG which is guarded by a few monster towers on a mountain top. Sometimes it's better being in the clag and not seeing whats there, kidding. Once on the ground we taxied to the FBO, Saker Aviation. I ordered fuel and Mary secured the courtesy van. It's a quick trip across the valley and with one stop at the flower warehouse we picked up tomorrows dinner table centerpiece and a wreath for the grave site. From the warehouse it's but a short drive to the cemetery. I placed the wreath and said a few prayers, apologizing to Mom for no white Christmas that she loved so much. I wondered what my Father would have thought about flying to/from Wilkes-Barre instead of driving all those years, I think he would have loved it! As fast as we got there we saddled up for home. I put a few gallons of gas in the courtesy van and we made a quick stop for lunch at Arbys. I squared up my fuel bill with the FBO and got 08Romeo started following the fuel test. 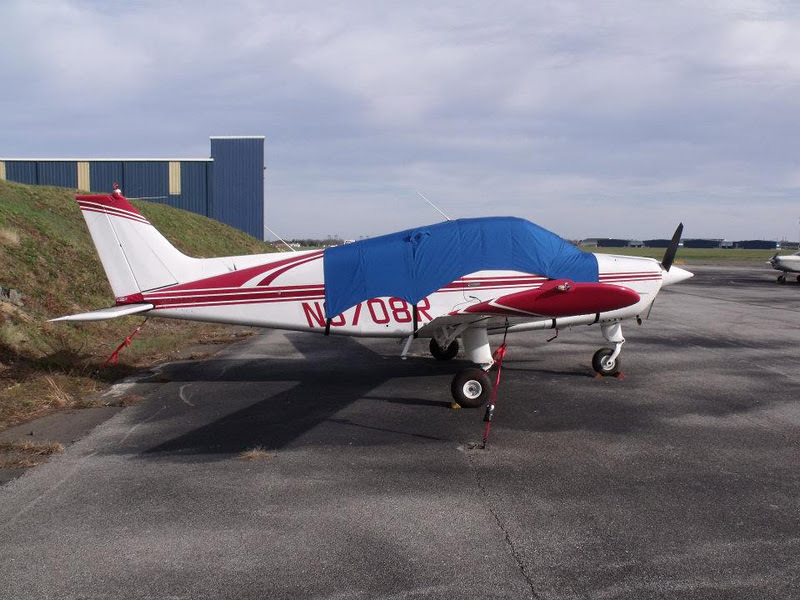 By the time we were ready to roll there was not a cloud in the sky so I decided on a VFR trip home. I should have filed but who knows what possessed me. I was cleared to take off runway 4 and climbed out with a right turn on course approved. Wilkes ground had given me a squawk code for flight following and asked for an altitude, looking back over my knee board notes I asked for 5000. Over the mountains we went enjoying the view and watching the ski resorts make snow. Once handed to Allentown the controller asked, "is there a reason your 5000 vfr"? Ahhhh....Hmmmmmm..I keyed the mic, no, climbing to 5500, thanks. He responded, "no problem". I started to laugh then keyed again and said Approach I'm so used to filing its second nature. The trip home saw a constant 130 knots which made for a good time. We were eventually handed off to Philly then turned loose for Wilmington. Another nice landing and taxi for Red Eagle. Just over two hours of actual air time vs almost 5 hours of drive time, flying works for me! We ended our day with dinner at one of our favorites, Culinaria, with Mary's Mom and my brother Joe and his wife Janice. 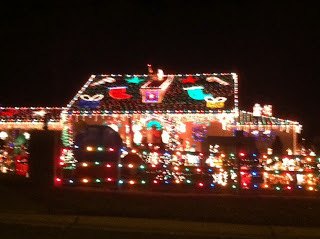 We ended our day with a tour of the Christmas light displays in our local area. I have been reading and reviewing about flying IFR since I haven't put in many hours left seat in the last month. While reading my favorite subscriptions, IFR Refresher and Aviation Safety, I happened to log into the AOPA home page. I noticed one of the subjects is lost communication procedures, IFR Fix: A loss for words. Good reading and always a good review. I also stumbled across a very good Internet read that provides a simple and easy to follow example of how to work through this process. It’s turbulent, getting dark, you know your approach will be down to minimums. Now to top it all off you haven’t heard anyone transmitting on the radio for a few minutes. You call up nonchalantly and ask for an altimeter setting, no response. You go back to your previous frequency and try to contact someone, anyone, to no avail. Where do you go? When do you get there? Not to bad to remember Avenue F MEA. It’s much better then some of the other one’s I’ve seen. Lets take a closer look. There are two portions to our acronym the first part A-V-E-F (Avenue F) has to do with our route of flight. For altitude we use the MEA portion of our acronym. Fly the HIGHEST of the following. You take off and enter IFR conditions at 500 feet. After 4 minutes of flying you experience communications failure, your altitude is 2,500 feet and heading is 210. The MEA along our route is 5,000. What might you do in this situation?Let’s break down our acronym. F – After we fly what was expected, we’ll fly what we filed. So we’ll continue to fly 210 until we intercept V-441 and proceed to Gators VOR. Upon reaching Gators we’ll continue as filed which in our case is direct Ocala. A – Assigned – We were not assigned another altitude by another controller. So after 10 minutes of flying “expect 6,000 10 minutes after departure” we will climb and maintain 6,000 feet with a heading of 210 until intercepting V-411 to Gators and then continue direct Ocala as filed. file to a fix rather than an airport. It works out in our case because Ocala has a VOR. But when flying to an airport with out a VOR file to a fix on the field this way you can hold until you reach your time of arrival you filed for. We will hold over the Ocala VOR until we approach our ETA on our flight plan, from here we can commence our approach as prescribed on our approach plate. Remember to squawk 7600! Thanks to Jason Schappert for an easy to follow walk through on lost Coms. I found Jason's article on MzeroA.com along with many other helpful tips and discussions for pilots! Finally some flying! Thanks to my brother Joe the kitchen floor was completed yesterday with just the stair nose remaining for install. Joe's wife Janice also helped out when she checked in on us and brought us lunch. 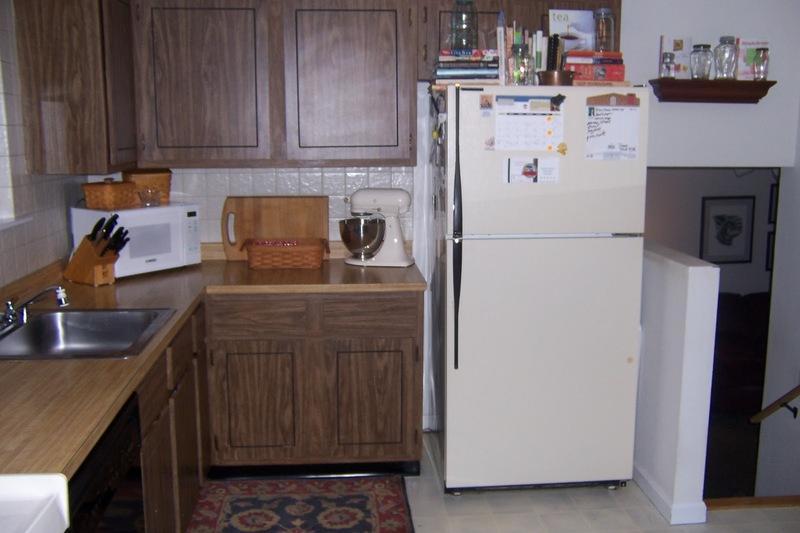 Mary and I owe you guys a nice dinner out at the club, we could not have done it with out you. 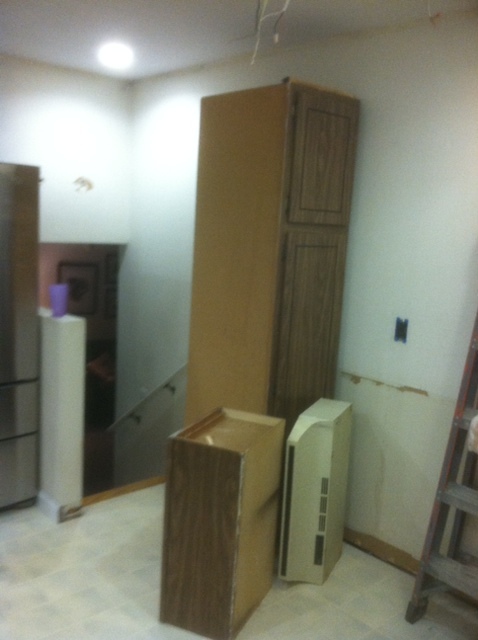 This morning I got up and finished the stairs to the kitchen from the family room. I'll stain the steps this week once I can round up the cats and lock them up, leaving the windows open to help with the paint smell while we are both at work. On to the flight. Mike and I traded text messages Friday afternoon and this morning. I advised I would be good to go around 10am and Mike agreed. I cleaned up the mess I made inside and out in the garage. Once showered and dressed I was heading out to the SUV and calling in my fuel order. A quick text to Mike and he was ready to go. I had the pre-flight completed and was parking my truck when Mike pulled in. We got 08Romeo started and while the oil temps came up we picked a breakfast destination. Mike would fly left seat on the first leg and we decided on Easton, KESN. Once in the air we could not seem to control the temps due to a strong breeze blowing in the cockpit. We each checked our doors again and then I reached back to check the back seat vents, they were closed. Baggage door was closed and locked with Mike doing a second walk around as an abbreviated pre-flight. I unbuckled and checked the baggage are vents and although I could not reach them I could clearly see they were wide open. As a side note the temp at takeoff was 42 degrees. Mike decided on making a stop just south of the canal at Summit airport, KEVY. We mixed with traffic and once on the ground taxied to the ramp. We didn't bother to shut down, instead I tried to reach the vents but couldn't fit between the seats or reach for that matter. We swapped control of the plane and Mike wiggled back and managed to shut both vents. 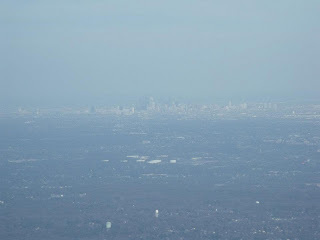 Once again we were in the air and headed to Easton. Mike shot the GPS RWY 33 approach reporting the TUKIE final approach fix as directed. Mike made a firm landing ;) that he beat himself up over, but got us to the terminal ramp in one piece. We enjoyed a great breakfast and chat at Sugarbuns then saddled up for my left seat time. We got the fan turning and cranked up the heat while I planed my leg of the flight. 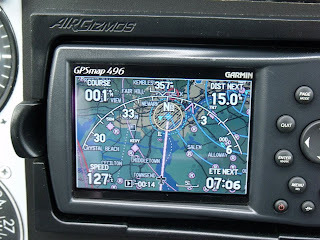 My plan was to make the short hop to Cambridge, KCGE and shoot the GPS RWY 34 approach. I was a bit rusty and my altitude varied more than I like and I too beat myself up. Mike got me back as he role played ATC for my approach noting 08Romeo verify current altitude 2,700 - maintain 2,500. Dang, that hurts. Ok, crossing the field and turning outbound on the 155 heading then making my turn to intercept the 335 heading. I was slow to loose altitude but worked my way to 1800 then the MAP of 560 which was wrong because I used the on field altimeter setting so I should have descended to 480 say 500 feet. I was allowed to raise the foggles at 1.5 miles and 560 to find myself in perfect position to land. Only two notches of flaps followed by a nice landing and immediate roll for takeoff. We headed for home, I was enjoying the flight and Mike was working with his recent iPad Foreflight geo-reference upgrade. We were leaving the sunshine and flying north to the overcast at 5000 ceiling. We scooted along at 3000 and eventually cleared to enter left base runway three two. Another smooth long landing and we taxi to Red Eagle. Mike ended up with 1.2 and I had 1.6 for the day. We each had an approach to log so that was worth the flight time. Honestly.....I hope to get a few more flights in before the new year!! 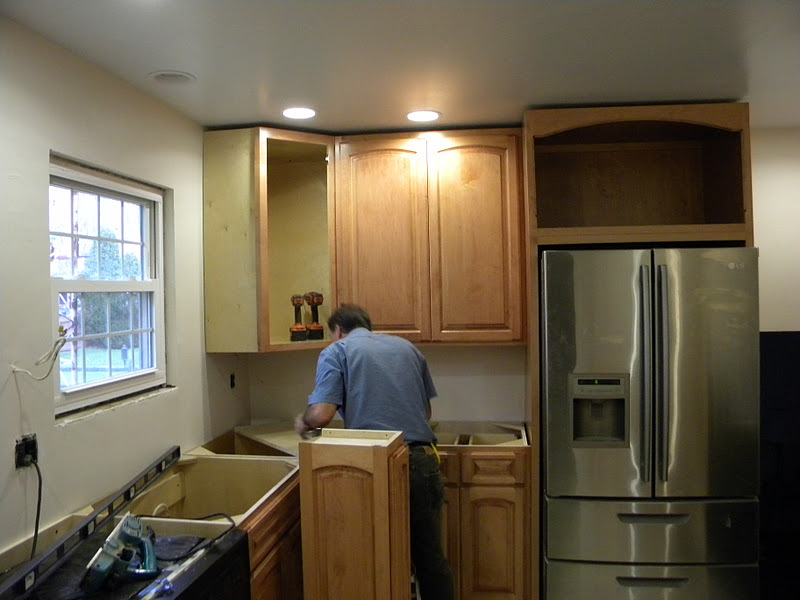 Kitchen progress: Cabinets delivered and installation is 95% complete. 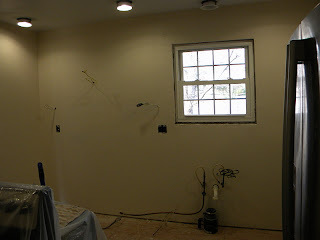 A few doors need to be hung and then the trim work starts. My Brother Joe will be leading the floor install on Friday since he did his floors. It will be an on the job learning experience for me. 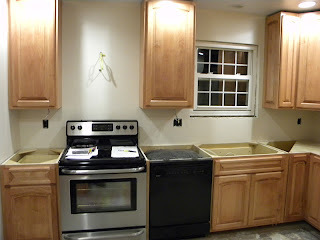 Counter top guy should be here today to template and I hope to have the counter and sink delivered/installed next week. 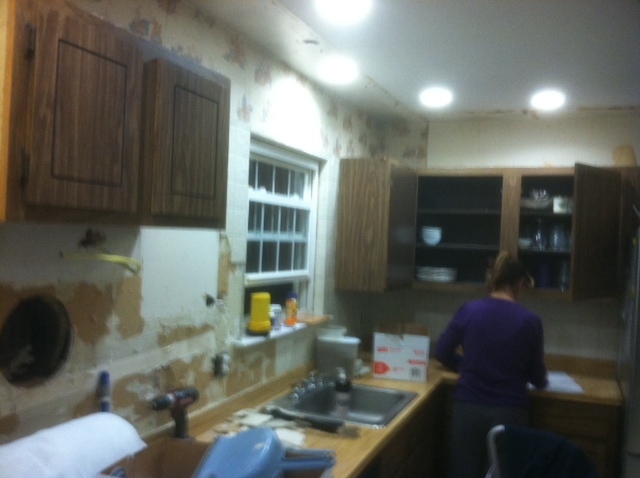 I can see me now...Christmas Eve hooking up the plumbing! 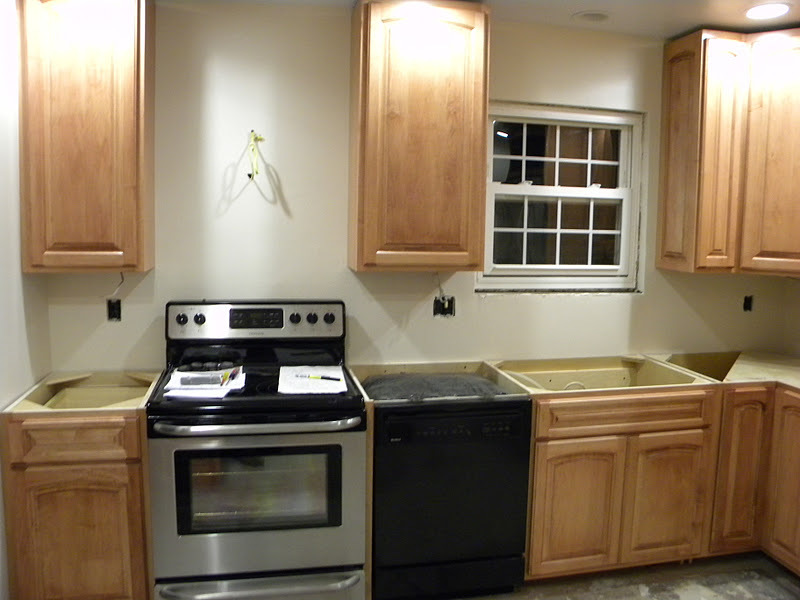 The kitchen is moving along, slowly but surely. 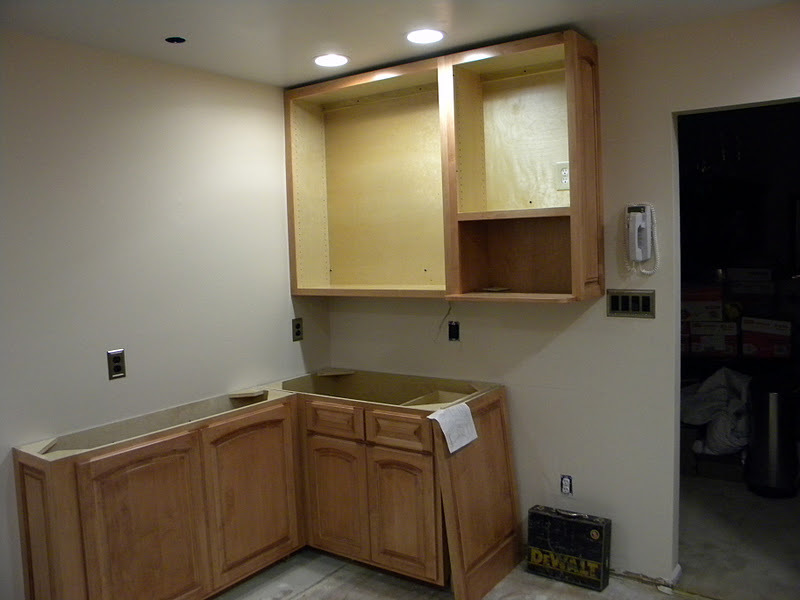 The electrical is 95% completed, only having to complete the panel hook up to activate the new receptacles and the direct wire under counter lights. 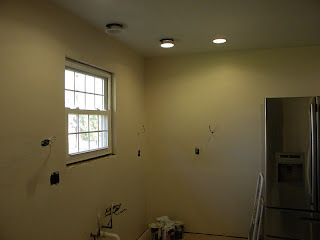 We also have to hang the ceiling fan and track lights over the eating area, now that the paint is completed. 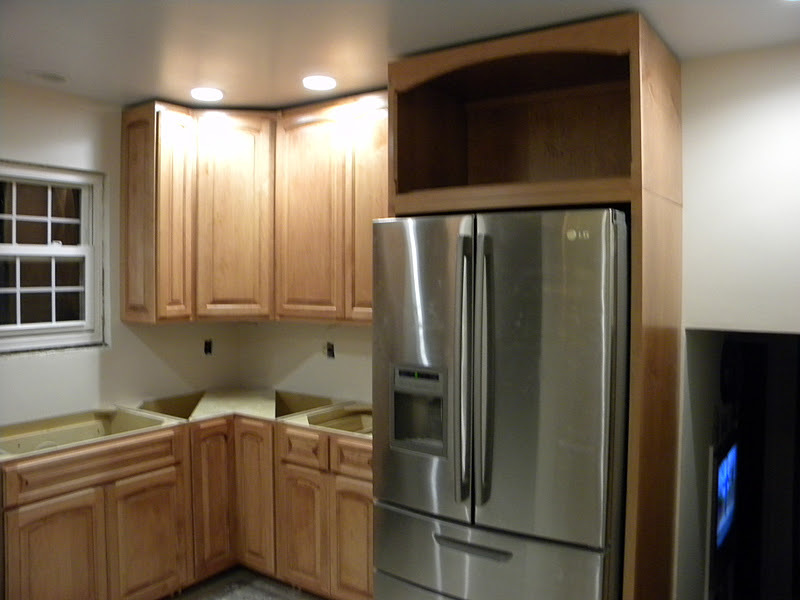 Just some touch up work remaining for the painter after the cabinets are installed. Cabinet delivery got pushed back from this past Friday to this coming Thursday with install to be completed on Friday. The counter top guy will template and be back in a week with the granite. It looks like it will all wrap up by the 23rd, fingers crossed. Christmas eve I'll be plumbing the sink and helping Mary finish stocking the shelves and getting everything put in its new place. 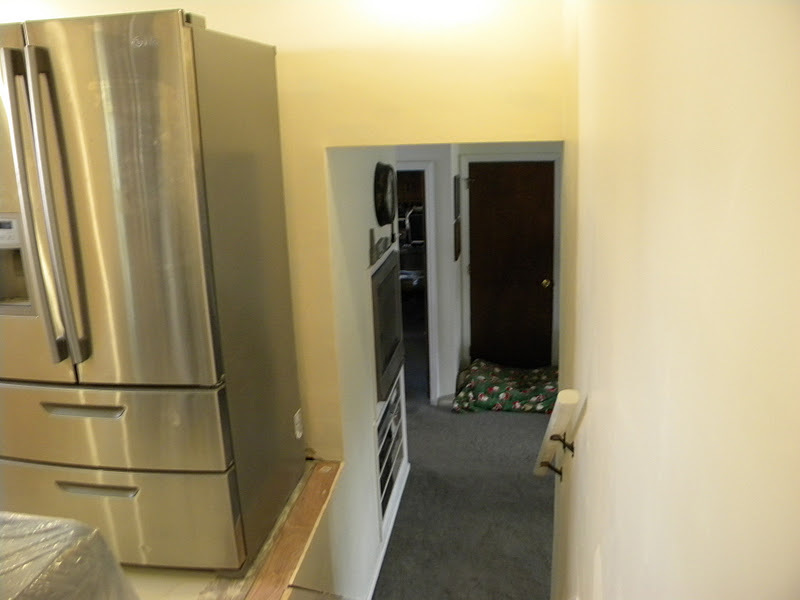 The last remaining item will be finishing up the stairs into the kitchen from our den. I may have them done prior but who knows. 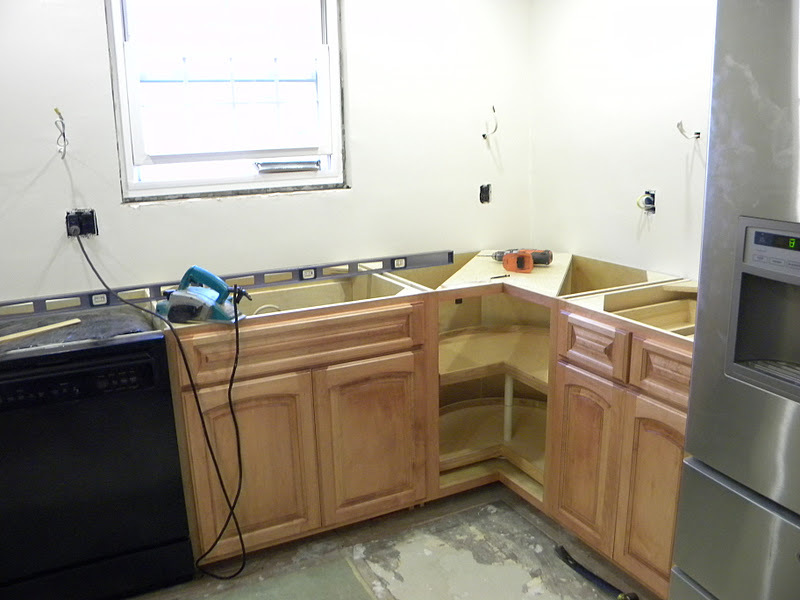 While we are doing the kitchen I'm trying to finish up two classes at Wilmington University and yes, finals are next week. My current work contract has me back and forth to Lewes Delaware a few times a week and that's an 1.5 each way. Busy doesn't begin to cover it! This morning I decided on a quick hop to Millville, NJ - KMIV. I just wanted to make sure the battery was holding a charge and get the oil circulating in 08Romeo. 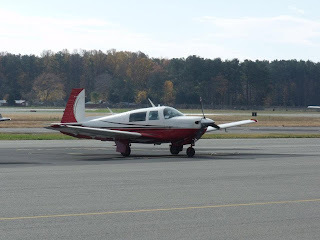 Pre-flight was fine and I took on an additional ten gallons of fuel to bring my total to forty gallons. I primed as usual but 08Romeo didn't catch on the first try. Another shot or two of primer and she roared to life, ready to get in the air. I took off on runway one nine and made a left turn on course tracking the DuPont one forty three degree radial. I didn't feel like chugging and plugging on the GPS. Once I had the field in site I plugged in direct MIV so I had a position report with reliable distance. I made a straight in on runway one four and taxied clear for a quick turn around. 08Romeo climbed out at eight hundred feet a minute while I was busy looking for traffic. I had a Cherokee entering the down wind and I turned cross wind behind him. I pointed 08Romeo towards Union lake and kept in the climb for home. I leveled at two thousand five hundred and was cruising along at a hundred twenty five knots. I settled in to enjoy the view and the gentle moan of the engine in my Lightspeed Zulu headset. I love flying, it clears my head and makes me smile. I noted Wilmington's ATIS and contacted them for my clearance to land. 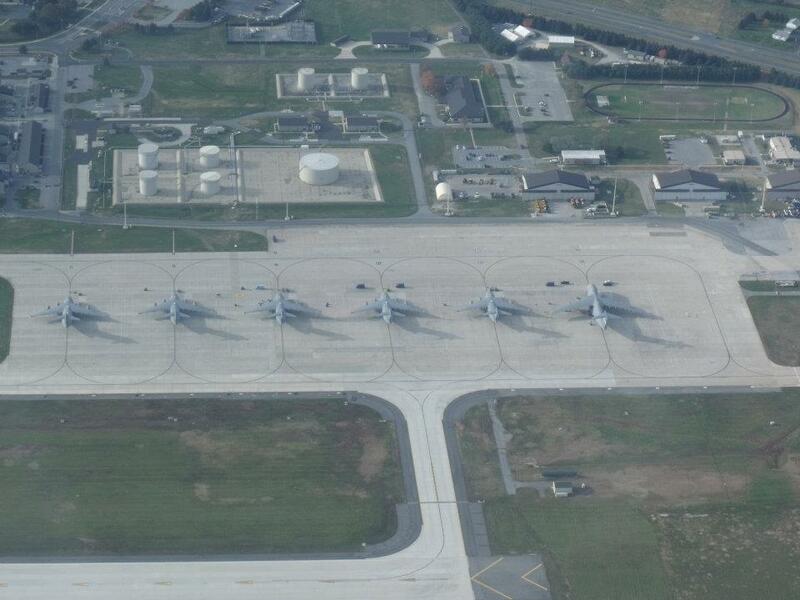 I acknowledged, Report midfield left downwind runway one niner. 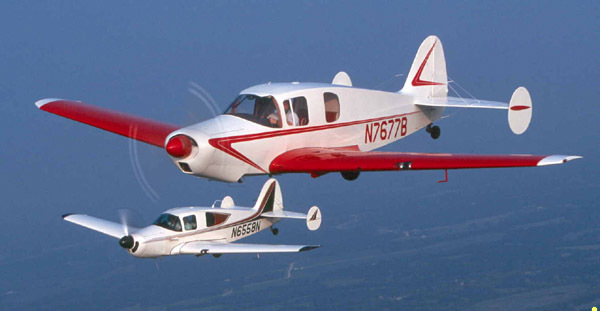 I had a Cessna shadowing me on the right down wind and confirmed visual contact. Base to final has me a tad high but a slip to the numbers followed by a smooth short field landing has me adding power to clear the runway. I secured 08Romeo and headed for home, 1.0 hours in the book. I decided to once again take to the sky! My drywall/painter canceled this morning but not early enough to allow me to meet up with the Woodbine Airport bunch that headed out to Sky Manor - N40 for breakfast. I did manage to get some homework done and did some reading for the quiz due for each class by tomorrow morning. It's too nice to sit here and read, I decided to head to the airport. I sent a text to Vince to see if he wanted in and he said he would meet me at the plane. The plan for today was just to get some cross wind practice in at a different airport with a runway that isn't as wide as Wilmington's 150 feet. 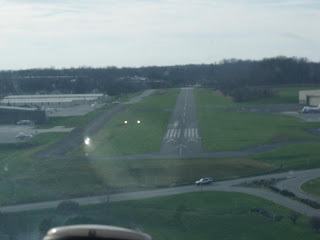 Brandywine - KOQN, with its 50 foot runway width is just a short hop to the north and the winds can be fun as you cross the gully at runway two seven, that's my plan. I took on a few gallons to replenish yesterdays fuel burn and completed the pre-flight. I was launching off runway one niner and making a right turn on course, the winds were kicking! I had a great tail wind pushing me north at 120+ knots. I tracked the Modena VOR and then broke it off to enter on the forty-five passing between two water towers like a football heading for a field goal. I announced a three mile forty-five and continued in. Down wind, base and final has me high and fast. I pull the remaining power and slip to the numbers adding the last notch of flaps as I clear the gully (roadway). Not bad for round one as I taxi clear. The second round has us climbing out of Brandywine and headed to Chester County-KMQS. The winds here should be a direct cross wind and add to the challenge. Winds were from 200- 210 and I pointed for runway two niner. I had plenty of Aileron in as I touched down and still got a bit of a side load push until my right main was solid on the ground and the flaps were retracted. 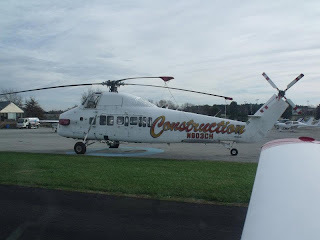 We taxied clear and headed back for the hop home. Departing runway two niner and maintaining noise abatement I turn cross wind to the south. I hear a call from an aircraft on the forty five for the left down wind two nine and start an immediate climb at 1000 fpm to get above pattern. Searching for the traffic at my one o'clock Vince makes the call, traffic low right to left passing under us by at least 500 feet. See and avoid at all times, at least he made his calls. More bumpy air as we contact Wilmington with the current info, intentions and final parking request. We are directed to make a straight in for runway one niner and after avoiding the VP's TFR we line up on a 3 mile final approach. I grade this landing as ok while my main concern is clearing the runway with three aircraft behind me. I make the first turn off and clear one niner as I spot the Archer passing over the numbers. There was a jet behind him and another piston pounder as #3 to land. A fun quick hour of bumps and crosswinds! 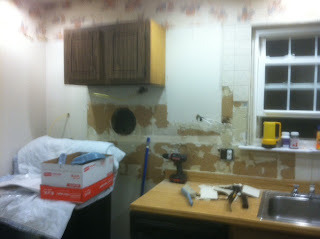 Ok, my fun is over, back to the kitchen remodel. 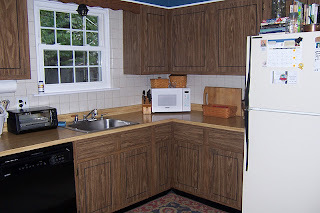 I had enough of kitchen remodel and decided I needed some flight time. Mary had a few things to do so I posted on FB then Vince sent me a text message. We decided on a 1pm departure from Wilmington. Vince sent a second text asking if his brother could join us, I responded no problems but I just took on 40 gallons of fuel, what's Joey's weight? Ok punching in the numbers I come up just 3 pounds under gross and that's before start up and taxi fuel burn, we're good to go. The brothers followed me in the gate, it was good timing. Vince and Joey followed me around while I did the pre-flight and I was worried about the battery acting up. I didn't get any stall horn when I checked. We all climbed aboard after the pre-flight and fuel sump and crossed our fingers. Come on STEC starter do you magic! Maybe three blades and 08Romeo roared to life, there wasn't much battery power left. The amp gauge showed a charge and we waited for the oil temps to come up in the green. Vince made the calls and I taxied for the runway. I had my hand on the controls but let Vince get us in the air, he did a nice job despite pitching up a bit to much on wheels up but he quickly settled in and held a nice steady climb. I had him make the call for a turn on course and had him keep in the climb, he was rock solid at 500 a minute and a smooth turn, impressive. We continued into Cape May and since we had traffic in the area I took controls and got us on the ground with a good landing. 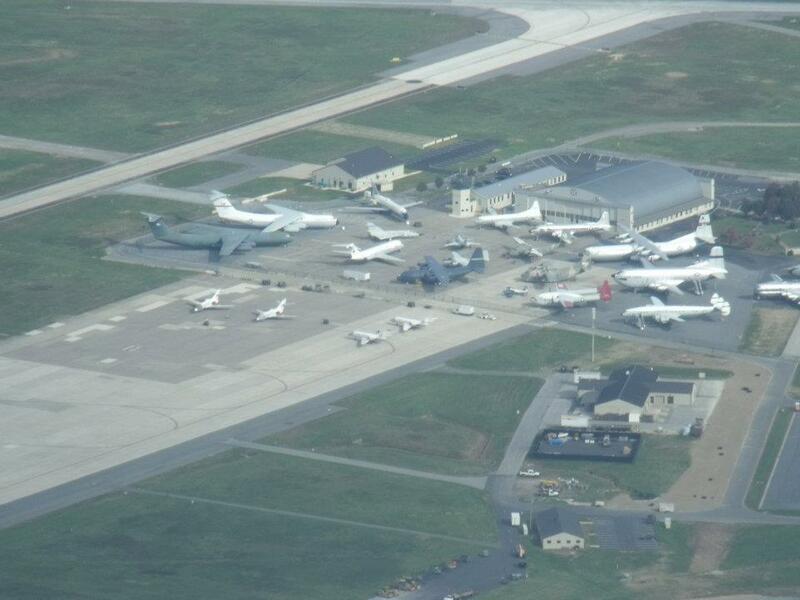 There were a lot of planes to see on the ramp. 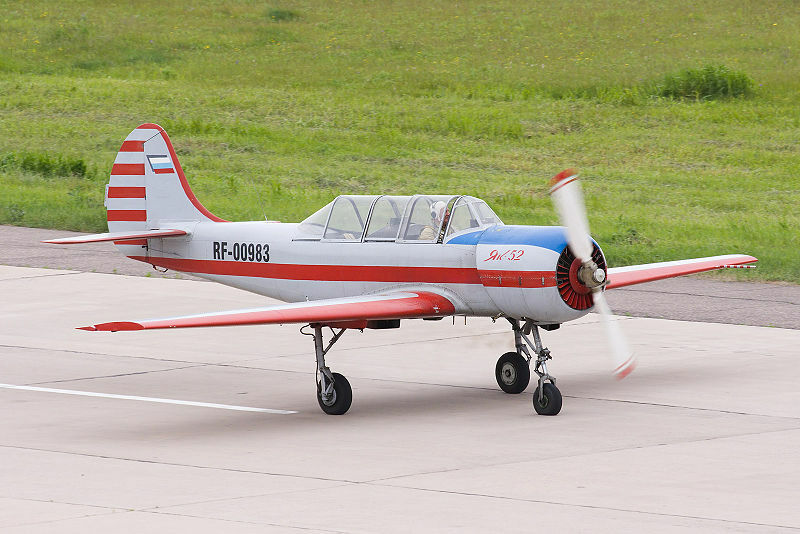 I counted five Yakovlev Yak-52's a Soviet primary trainer aircraft and a pair of Bellanca Cruisemaster's the "triple tail" 14-19-2 model. We also passed a bright yellow Pitts. We had a quick lunch then saddled back up for home. Once again Vince did a fine job on the take off and positioned us over the edge of the Delaware Bay to gain some altitude and let his brother enjoy some of the view. We turned for home and eventually made the call to Wilmington for landing instructions. We were to report a 3 mile left base for runway two seven. Vince took us to short final and then we transferred control for my landing. I'll grade this one as an ok, kind of firm, should have let it keep flying a bit more. The three of us covered and secured 08Romeo then bugged out for home. Thanks guys for a great time flying, hope we can do it again soon! Joey you did great for a first time ever flyer! I haven't been flying in almost two weeks, not the norm for me. It's been busy here at the Mascelli home as we worked through the design and now demo of our kitchen. 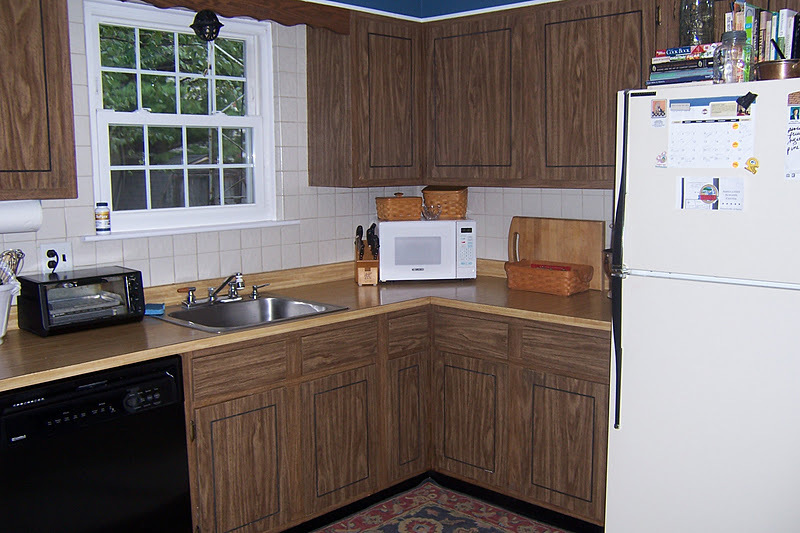 I get to play project manager, bringing what I do everyday home, as we coordinate the schedule and various crafts to get the job done. 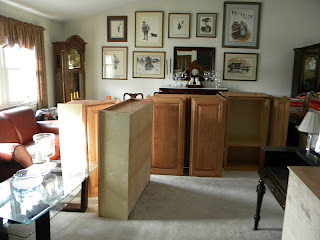 Our custom cabinets are going to be made in Amish country, New Holland, PA. John B is, to say the least, a master craftsmen. Bruce drew up our final design and put in on paper, providing a 3D concept view. Yours truly is the demo man along with help from my brother Joe to remove a half wall, appliances and eventually install the new floor. ﻿Electrical is almost complete with eight new recessed lights, new track lighting over the breakfast nook area and a new ceiling fan. Joe E added multiple outlets above the additional counter space and to accommodate our wine refrigerator. 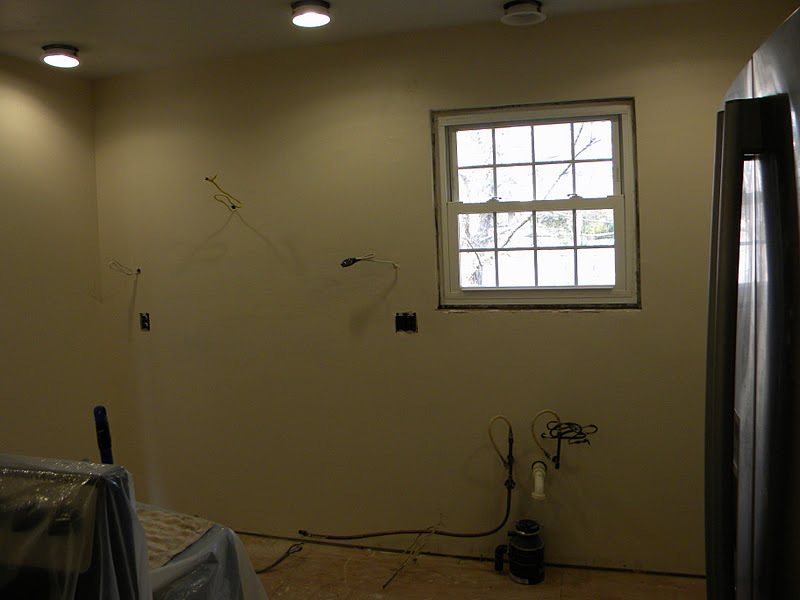 John D will begin drywall repairs and painting on Tuesday and be completed with plenty of time to spare for the scheduled cabinet install on December 9th. Thanksgiving you ask? Yes, we will enjoy Turkey day with Mary's family at her Mothers home. From our home to yours, Happy Thanksgiving. Please remember our troop﻿s and the sacrifices they, and their families make so we can sit at the table with our loved ones. One of the many "favorite links" listed on the right side column of my blog is the N631S Blog. Frank posted a video that was posted on the AvSig online forum that really hits home to those of us who fly with IFR certified GPS equipment. I don't want to steal Frank's thunder so please, take the time, read the blog post and post your thoughts. Here is the direct link to the post; Children of the Magenta Line. ﻿﻿﻿Swapped facebook messages yesterday with Jeff D from Woodbine about a possible breakfast run this morning. Wx looks great and the VP's TFR starts around noon so I will be good to go and not have to file. I contacted Vince if he wanted to fly right seat since Mary took a pass. I walked through the gate and loved the chilly breeze blowing, it smelled clean. I went through my pre-flight and had to sump fuel since AeroWays delivered per my request last night. Everything looked great, cleaned off some bird souvenirs and climbed aboard. Vince texted me saying he would be 15 minutes late getting to the plane. I started up and got the oil warmed then shut down in front of the Red Eagle hangar. Vince climbed up on the wing and I picked up my check list and proceeded with an engine start. I climbed out of Wilmington with a head wind just off the nose to our right and managed to hold 100-102 knots heading south. The Gods hopefully will reward me for not complaining and provide tail winds coming home, we shall see. Vince wanted to do some radio work since flying was hands off and feet on the floor. 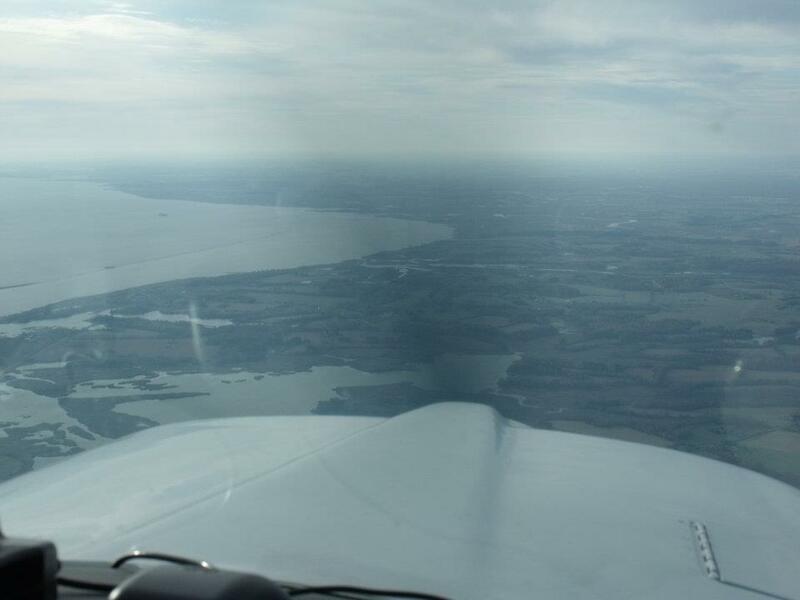 He contacted Dover approach for flight following and we flew together until 10 miles out of Georgetown. I have really been working on the shock cooling and now nose over with slight reductions in RPM, sort of stepping down the power or at least trying to be even more aware of it. As we descended below 2,400 feet the winds really kicked in, it was like riding a bucking horse. 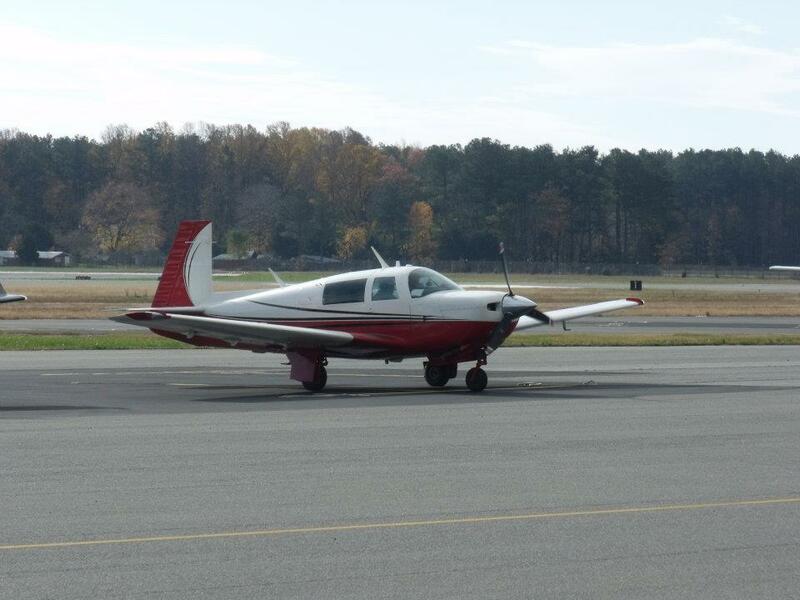 There was a Cherokee joining the pattern coming from the south west and he followed me in number two to land. I crossed mid-field and entered the down wind. We each reported our positions and as I turned base to final I had visual contact. Two notches of flaps and riding the winds, dodging a few turkey buzzards just over the trees on short final. I decided to add a final notch of flaps even though that's not normal for me in gusting winds. Sure enough, I ballooned but made a nice landing with a quick turn around and taxi off to the terminal. The Cherokee followed suit dealing with the winds but his attempt looked better than my landing felt. Vince and I secured the plane and I talked with the two men in the Cherokee. I had given him a heads up about the buzzards on final and had mentioned my previous close encounter with the red tail hawk at Wilmington. Small world, he said "you write that blog" ah, yep that's me. He said he reads along and follows my travels, that always makes it worth my time to document my ramblings. 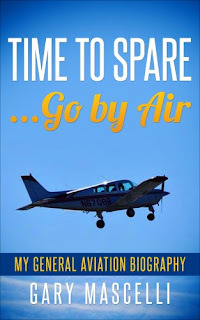 He had mentioned Bill ( Bills RV-7 Project and Travels) from Essex Skypark, one of my favorite reads on aviation. 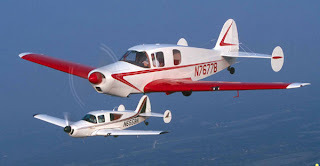 I hope one day to cross paths with Bill and see his RV7, the pictures are awesome. Jeff and John rolled in in Jeff's immaculate Mooney, I think bugs avoid him. We had a nice breakfast, good food, aviation chatter and of course watching the planes come an go on the ramp. 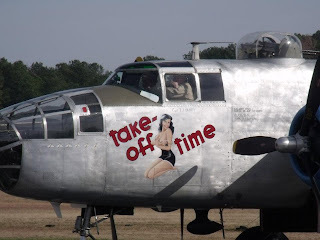 When we finished up we saw a B25 taxi by, it was Tom Duffy's Take-Off Time based at Millville. It was nice to say Hi to Tom and I did ask about his recent purchase, a Mustang. The Mustang is being painted and he gave us a snip of info on the scheme. I followed Jeff's Mooney out to runway two two and completed my run up. I launched into the gusty winds and bumped along to 3,000 feet and smooth air. No flight following on the way home, just enjoyed the flight and chatting with Vince. We were spotting some aviation related items; the Smyrna VOR (ENO), Delaware Airpark 33N and a picture for my friend Jeff who moved to Champagne IL, Smyrna Airport - 38N and its grass strip. Beat the VP TFR, nice tail winds! I had the ATIS info for Wilmington and made my call. I confirmed, report mid-field down wind runway one nine. I extended so a jet could depart then made a nice landing with enough power to taxi clear on Kilo. Vince cleaned the leading edges and I covered and tied down. A fun day flying and catching up with friends.